One of the founders of Reference Gallery, which could reasonably be called one of the best small-town galleries in the world, Conor Backman also happens to be a BFA student at Virginia Commonwealth University in Richmond, VA. Open since the fall of 2009, Reference has come to define the growing inertia in post-internet art with a constant flux between physical exhibitions, digital circulation, and distributed networks of attention. 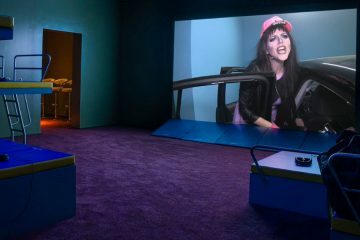 Its program has consisted of exhibitions curated by and including work from some of the leading figures in this relatively new capacity of contemporary art to get in touch with the media conditions of cultural production today while avoiding many of the more dangerous and insular pitfalls of traditional new media art. Backman’s own practice, while certainly influenced by ideas of how images and exhibitions spread through digital space, remains firmly rooted in the twin discourses of painting and sculpture. 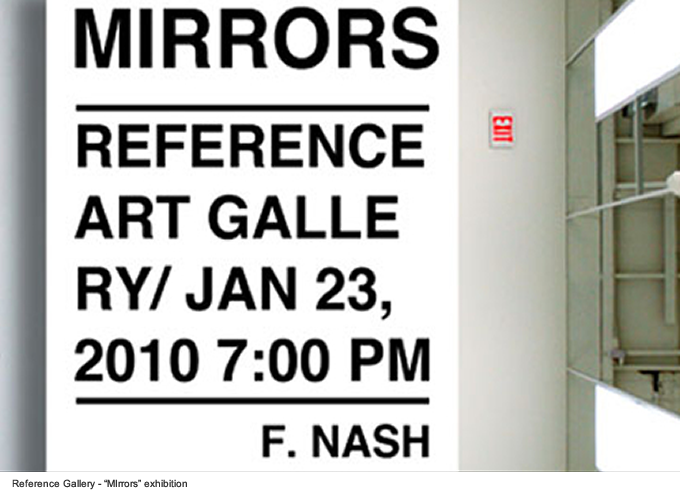 His work has recently appeared in exhibitions at Art Blog Art Blog and Mixed Greens Gallery, both located in New York. Robin Peckham: How did you first decide to get involved in starting a gallery—probably the last thing most art students think about—so early in your career? And why a commercial model rather than a grant-funded one? Conor Backman: My involvement with Reference Gallery began by organizing a set of group shows in my apartment. It started as a simple idea to exhibit my work and that of a few peers from school at a time when there was little opportunity to show in Richmond outside of the classroom. By the second show there were 80 artists involved in the project. It became obvious very quickly that there was a need for a space like this to exist here. Those first shows were where I met James, Edward, and Ross, my fellow co-owners at REFERENCE. A few months later we moved into a storefront downtown. We live above the gallery, which keeps us closely involved and keeps the rent cheap, so that selling work is not a necessity to stay sustainable. We are a commercial space only by default and treat the program like a not-for-profit. We decided against non-profit status early on because we believed it would slow things down, both in terms of the lengthy application process, and the reliance on grants. As for starting this project during school, I feel it’s been the ideal time. The university provides an incredible network and support system through faculty, graduate students, alumni, and visiting artists. It’s where most of the viewers who see our shows in person come from. Robin Peckham: How has operating the space affected your own practice? I suspect it might be more evident how your work and interests have defined the program, but would like to hear how curatorial and administrative work has fed back into the studio. Conor Backman: My experiences with REFERENCE have been hugely influential on my practice. I’d like to think of the gallery as another aspect of my work, not something detached from it (although my work with the gallery happens in a much different head space than my studio practice). The gallery’s influence can be seen very directly in the content of certain works. Some of this influence is subtler, informing how I consider viewership, display, commodification of art objects, and the exhibition space as a theater. Some of my recent work investigates issues of the physical display of work in a gallery setting, specifically ideas about when a piece begins, and when it is ready for exhibition. 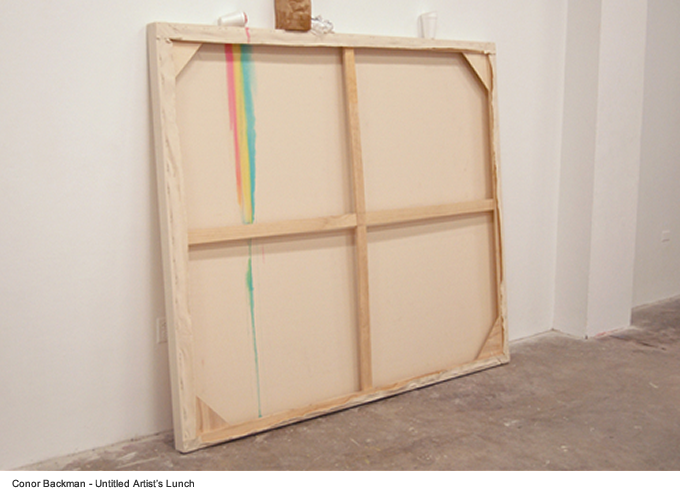 A work such as UntitledArtist’sLunch, reads as though a traditional vehicle for hang on a gallery wall (in this case a stretched canvas) has not yet been placed in its final position, turned away from the viewer, and worst of all, used as a prop on which to set food (some of which has damaged the “work” alluded to). 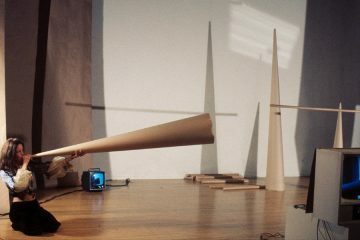 The interaction of a real-world, utilitarian object has interrupted the potential viewer from experiencing the piece. In another work, Xenia, this is reversed. Here a traditional sight at a gallery opening, a food tray placed out for guests, is reproduced in an inedible material. A primary source of influence comes from discussions around work we exhibit. These include conversations at openings with viewers, who are mostly fellow artists, exchanges either in person or over the web with exhibiting artists around the curation of their work, or the dialogue amongst the other members of REFERENCE about future programming. Discussing potential themes for group shows often brings the conversation back to interests we have in each others’ work. Oftentimes rather than shaping the curation towards our interests these conversations reaffirm and expand upon ideas we’re investigating in our practices. In this way, the work we exhibit is more influential in our studios than our own work is on the programming. Sometimes a show does not have a clear theme initially, but several will emerge once the show is installed. Each of us may have different ideas as to what the show is about. These ideas, at least for me, often play out in my studio soon after. Another influence, possibly the most direct, is totally silent, and comes from living with someone else’s work for a month and really getting time to better understand it. Robin Peckham: For this interview, which will run in Digimag, a new media publication, the most interesting angle is probably how REFERENCE fits into the cultures of internet and post-internet art. Could you sketch a very brief outline of how you’ve seen this develop? Was it always an aim of the gallery? And how do you see the possible roles of a brick and mortar space in contributing to this discourse? And for that matter, I suppose, the status of the kind of painting and sculpture you make in this environment—but that might be a much broader conversation. Conor Backman: Our thinking about Post-Internet in relation to the gallery happened organically, stemming from the problem of our location outside of an art center like New York. We’ve always focused first on the physical space, but became increasingly interested in the problems of online viewership as we realized the majority of our traffic existed here. Brad Troemel, a New York based artist who previously ran a gallery called Scott Projects in Chicago, wrote an essay describing “dual spaces” around the time of our opening. Our third show at REFERENCE, Mirrors, was curated by Troemel, who built a digital exhibition over images of the empty gallery, which was then projected back into the space. The Facebook event page for Mirrors still reads 150 attending, when in fact the actual audience at the opening was far smaller. Several other shows have confronted issues of online viewership and documentation head on. 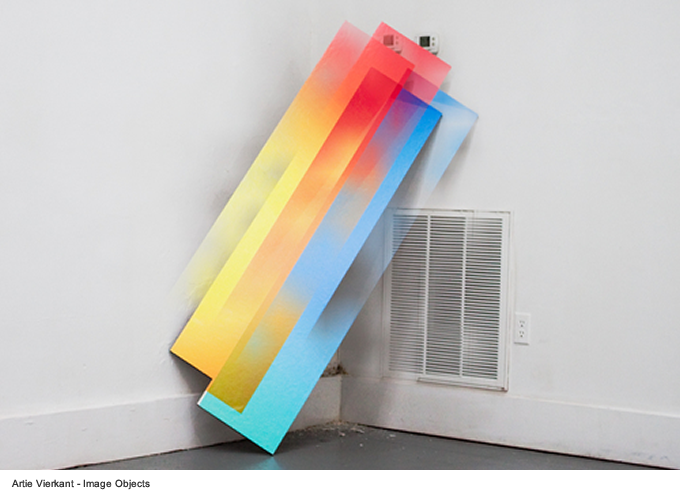 In Artie Vierkant’s ImageObjects, the artist utilized a variety of Photoshop tools to produce altered documentation of his work for release on the web. 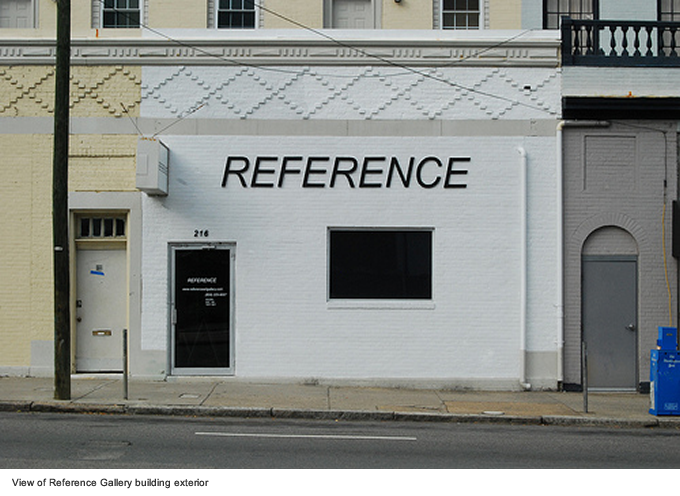 In Starmap, a series of exhibitions took place in a, 1”: 1’ scale model of the gallery, that when documented and released as jpeg images was virtually indistinguishable from prior shows in the actual building. I’m interested in acknowledging these possibilities and problems directly in my work. My piece AshentoAshen asserts it’s physical nature, while simultaneously questioning it though a trompe l’oeil recreation of an object that represents a virtual space. 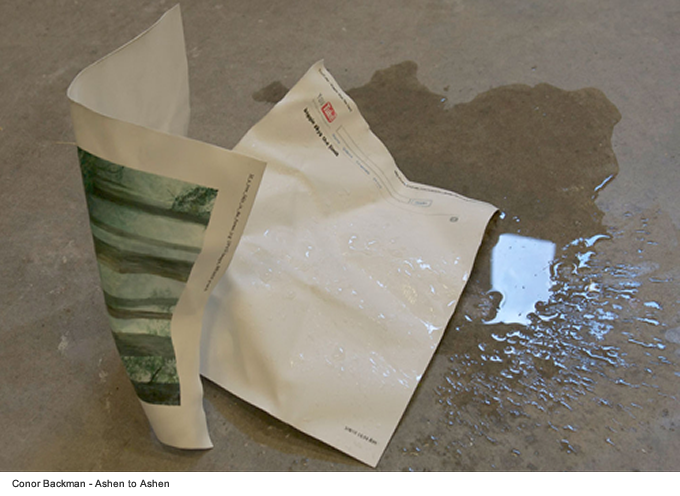 In this case the object is an 8.5” x 11” page of paper printed directly from the Internet, bearing a time stamp, link information, and the image’s descriptive text, recreated in steel. Water drips from the ceiling creating a sound otherwise impossible on the original material. One “pag” reads “if_a_tree_falls_in_the_forest.jpg.” The other, “biggie skys the limit,” is text taken from a YouTube video famous for its posthumous creation, which has been silenced, but not completely removed, for violation of copyright. Conor Backman: It seems that one of the key aspects of this question is the representation of the art object. 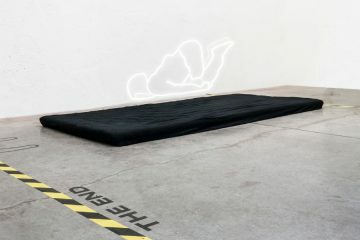 How do you see the relation between the jpg and the work? Or the gallery and the website? And can we compare the circulatory modes of, say, the exhibition and the blog or Tumblr-style reblogging and quotation? 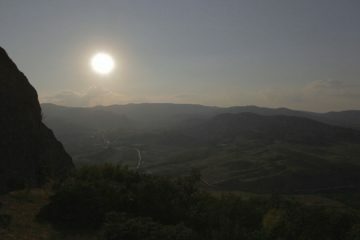 Problems surrounding the image of a work and the object of a work have existed since the invention of the camera. Even before the camera, reproductions distanced the viewer from the original in exchange for a more accessible copy. One early example can be seen in Andrea Malraux’s use of photography to create a “museum without walls.” Our art history professors still deal with the basic problem of showing slides of work, or black and white images of paintings in textbooks. These are enduring issues, and the Internet is the newest phase and tool in the attempt to bring distant viewers closer to an original and primary experience of art objects. The Internet allows for instant access to high definition video, which can provide panning views of sculpture, and full color high resolution detail shots viewable on our cell phones, which gets us ever closer to the work, but is still a mediated experience. One major difference the Internet (now Post-Internet or web 2.0), creates is that the viewer can now also be an active participant. It levels the playing field because it is free and accessible, and thus more democratic. With a Tumblr blog, a viewer across the globe can repost, and thus curate, a work in an entirely new context depending on images and media that surround it. A particular work we curate among selected others in a group show may take on a new life with previous meanings reinterpreted and multiplied once its image circulates online. A blog allows for a kind of super-curation that happens at a speed impossible to achieve in a brick and mortar space exhibiting physical objects. The great majority of work on our blog has never been exhibited or even viewed in person by the members of Reference, but by adding it to our blog we endorse it, curate it amongst surrounding content and give it a new context. The gallery provides the work a particular art world context, a legitimacy, authority, and consideration, that is valuable in a different way. Our gallery’s website, at least at this point, functions as an index, database, and library of exhibited works arranged in chronological order of exhibition. 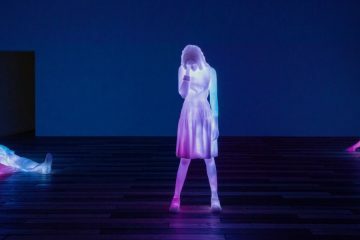 It will be exciting to see how this changes, becomes more elastic, participatory, and open to reinterpreting and re-circulating from the viewer in the future. Robin Peckham: To my mind, one of the ways these kinds of things can happen is because of the fact that Richmond is a small place relatively far from the “centers.” For that matter, it probably isn’t far from the distance we experience here in Hong Kong, if we’re measuring in terms of the numbers of New York or Berlin-centric visitors we receive. Is this distance a fundamental part of how Reference operates? And is it conducive to fostering the space as a node within a more distributed conversation? Conor Backman: Richmond has proven to be an ideal place to run a gallery at this point in our careers. In a small city, that per capita has a relatively high interest in the arts, people have been receptive, and paid attention to our project. Participation is easier here. Rent is cheap, which allows for a large space that can take on many roles as gallery, lecture hall, music venue, or group studio space. Not being good at writing your papers does not mean you cannot excel just the same. We recommend that you look for us as an alternative and get top quality tailored essays at your convenience. Custom paper writing services are here to actually bring out the writer in you.